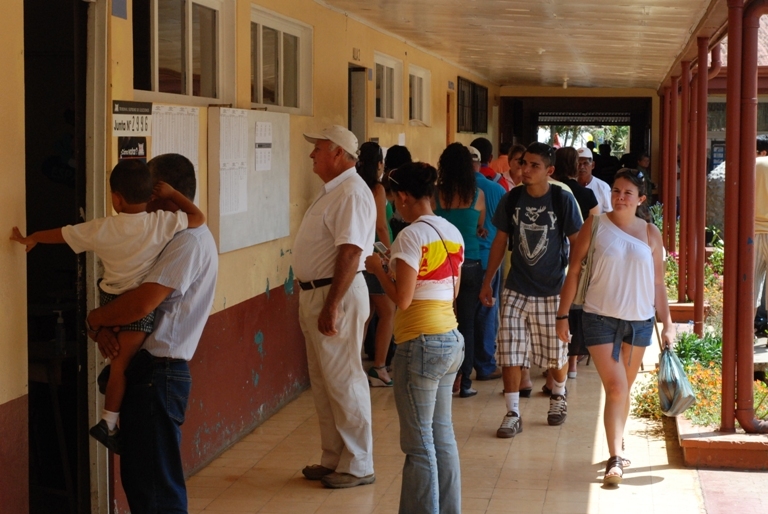 Voters in Palmares at a polling place in the 2010 election. Like I mentioned in my last post, today is interesting for a few reasons. The first reason is that it’s Groundhog Day in the U.S., and the second reason is more local: It’s election day in Costa Rica! In this post I’ll highlight 14 important vocabulary words that will help you talk about voting in English. Also, if you want extra reading practice, you can go to this post I wrote about the Costa Rican election system, and why I think it’s actually pretty good! When there is an election, people in a democracy (a country with a democratic political system) often have the ability to vote for the people they want to represent the general population. In today’s election, Costa Ricans will be voting for their new President and their congressional representatives (called “diputados” here). Before the election, the different candidates (the people who want to be elected) will campaign (which can be a noun, a verb, or an adjective) in order to try to get support from the public. On the day of the election, people can go to their polling place, which is their designated place to vote. It’s often a public school or some other public building. When voters get to their polling places, they have to show an identification card (ID), which is called a “cédula” here). After that, they’re given a ballot, which is the paper where a voter marks his or her vote, and usually directed to a voting booth, which is a small area that is separate from other people, and where a person can vote. The action when you vote is called “casting a ballot,” or simply “voting.” When the voter is ready, he or she can deposit their ballot in a box and leave. Later that night, many people watch the election results on television to see who won the election. 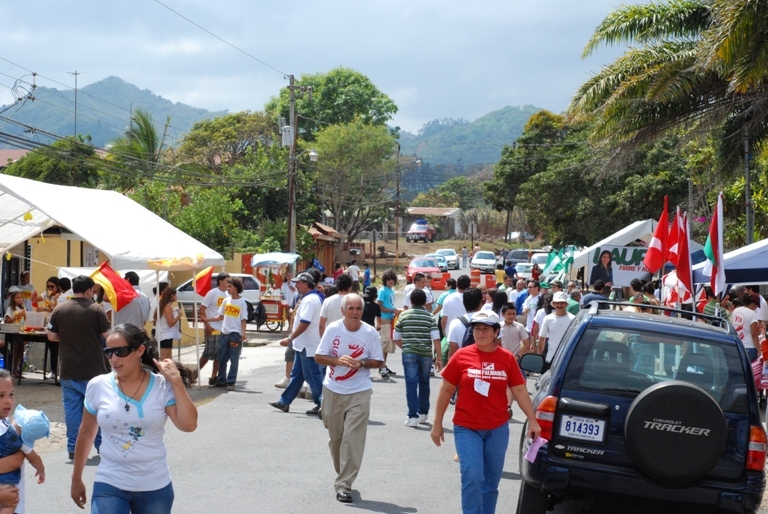 Outside a polling place in Palmares, 2010. So, to review, here are the words we covered–can you define all of them? Thanks for reading, and tell me if you have any questions or comments. And if you’re 18 and live in Costa Rica, be sure to vote!